Dressing for fall means the temperatures are dropping and it’s time to put on the layers. For this season, we can look forward to longer length dresses and tunics with leggings, pants and cardigans! There’s definitely more possibilities when it comes to dressing for fall. This fall, try out a new trend or something different than you normally do! Dresses that double as tunics, jumpsuits, and midi sweater dresses are perfect for the fall because of their longer lengths. Pair a shirt dress with leggings for cooler temperatures and throw on a pair of strappy heels or boots for more of a fall feel. 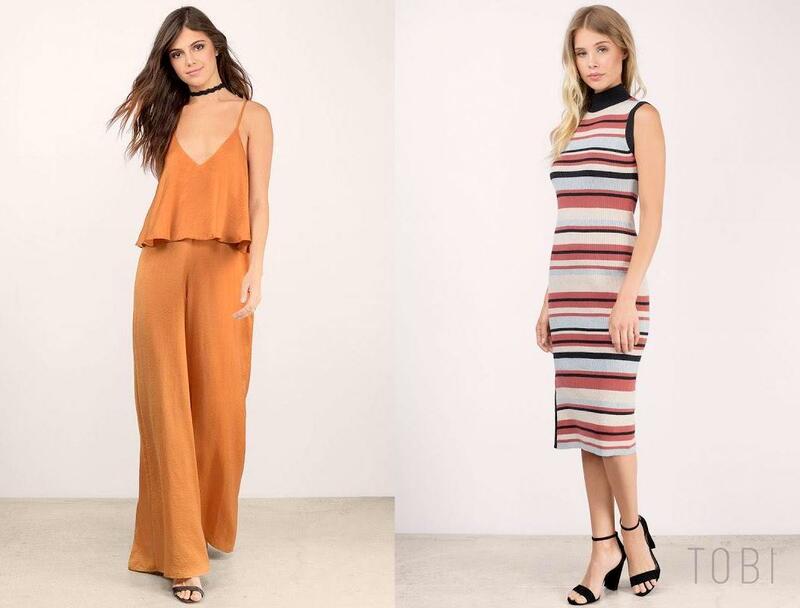 This burnt orange jumpsuit from Tobi is the perfect addition to your fall wardrobe. The flowy material adds movement, so you’ll want to strut this piece down every fancy part of town. Layer a black turtleneck or long sleeve underneath instead of wearing a sweater over so you can stay warm and avoid covering up such a statement piece! A sweater dress allows you to wear a dress in the cooler months without freezing. This one has a mock turtleneck, so it’s not as restricting, and an interesting stripe pattern with a pop of color. This piece gives off a 60s feel, so feel free to pair with some mules and a cream long sleeve underneath. Alas, pants! You might or might not have been wearing shorts and skirts all summer, but here are some essential pieces you should have ready to wear in the fall. An appropriate olive colored jogger screams fall and adds a comfy touch to your outfit. The high waist can accentuate your waist and create a flattering silhouette. Pair it with a pair of heels and a cardigan for an updated look. 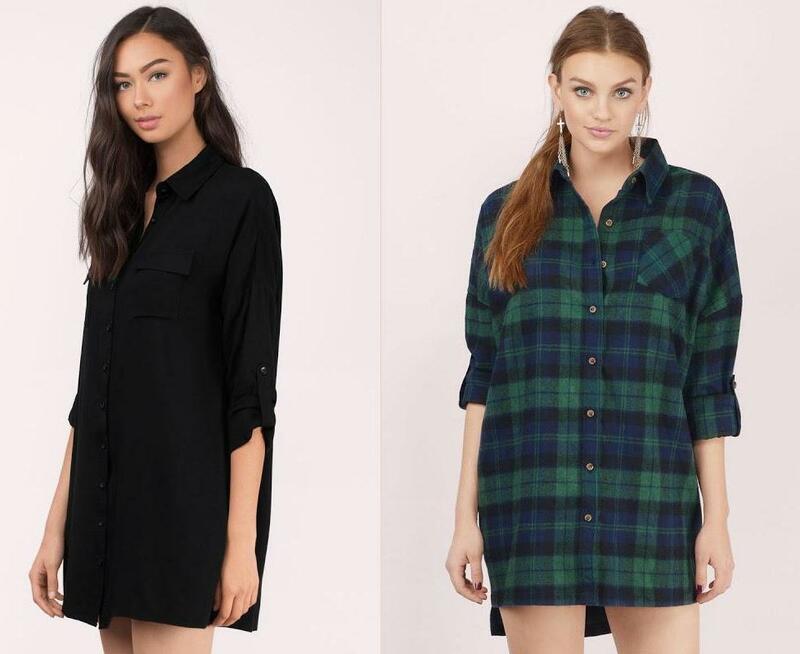 Want to be even comfier this fall? If you’re still in school, you’ll love wearing these sweatpants in navy. Keep it casual and pair it with a t-shirt and your favorite sneakers. 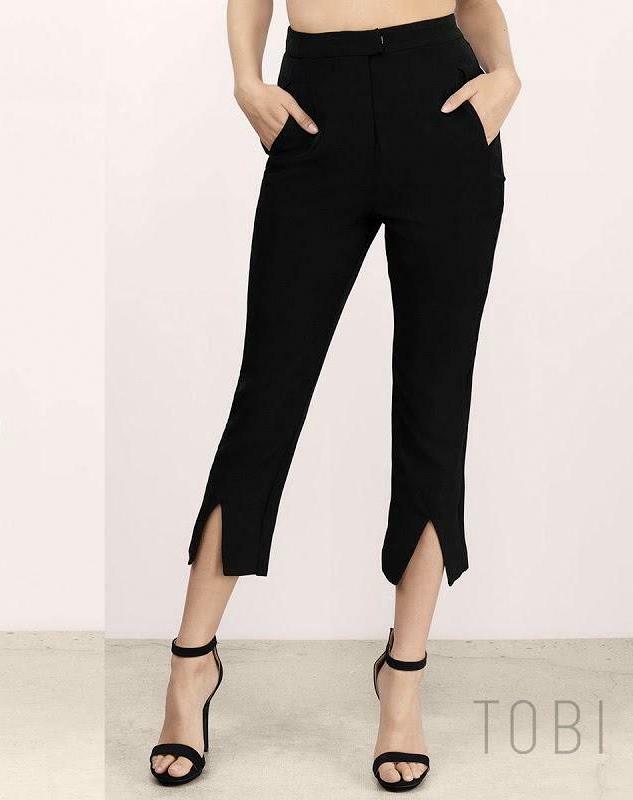 Another essential bottom for the fall is a cropped trouser pant. This one has added splits in the front for a subtle edgy look. Pair with loafers for a business casual look or heels for going out. For the nights that are too cold for a dress, opt for a pair of crops like this one, a satin top and heels. 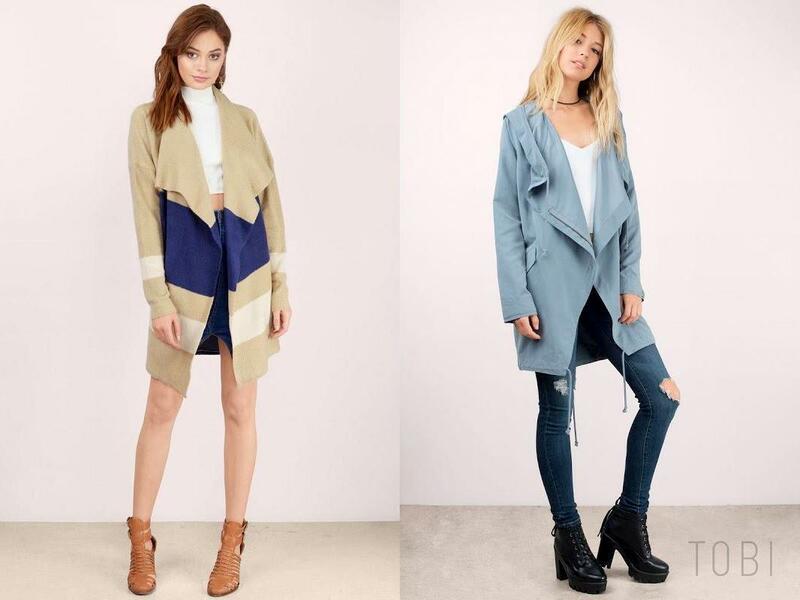 Last but not least, every girl needs some outerwear this fall. Because it won’t be too cold, you’ll want to pick out some light jackets or medium knit cardigans. This black oversized cardigan is the perfect addition in transitioning to fall. With its oversized structure and ¾ length sleeves, this cardigan is ideal for throwing on on-the-go and pairs easily with almost any outfit. A statement cardigan is another must-have. You’ll probably be covering up the rest of your outfit if it gets a little chilly, so why not go for something bold? This colorblock cardigan will make a statement and keep you warm. Pair it with some dark leggings and booties for a cozy chic look. A light jacket like this draped anorak is a trendy way to revamp your fall wardrobe. It’s drape detail makes it an effortless addition to any casual outfit. Pair it with boots and even sneakers for a casual everyday look. Wherever you’re headed this fall, make sure you grab one of these fall essentials with you. There’s something for every girl to add--whether your style is casual chic or edgy cool--I hope that this post has inspired you to be bold and be beautiful this fall!